On The Road, "The Birth Of Loud," is a documentary series by VICE and Marshall Headphones. 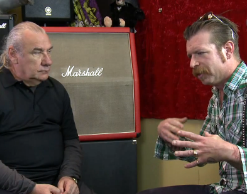 Presented by Jesse Hughes of Eagles of Death Metal and Tim Harrington from Les Savy Fav. Our recent season follows Jesse on a pilgrimage to the home of heavy metal and the birthplace of Black Sabbath.